When it comes to sorting waste, people only have about 2 seconds to decide which waste stream to toss their trash into. If it’s unclear even in the slightest of what goes where, they’re just going to deposit it into whatever stream is the closest. When any item goes into your recycling bin that shouldn’t be there (because it can’t be recycled), it causes stream contamination. If your steam contamination exceeds your waste hauler’s acceptable level, then your collected content will be considered non-recyclable and tossed in landfill – not good for your waste diversion rate! That’s why at CleanRiver, we strongly believe that Recycling Labels are one of the most important components of any successful recycling program and why we can’t stress enough that you’ve got to get your graphics right! People want to do the right thing when it comes to recycling, so it’s our job to make it the recycling labels simple, clear and consistent. When it comes to your recycling labels NEVER over complicate things. Use clear and detailed images to accompany any text to show what items belong in each stream. But be careful not to overload each stream poster with too many images. This can become overwhelming for the person tossing their waste. To encourage quick and correct sorting, keep the number of images to a minimum. For example, show one pop bottle, one glass bottle, one can and a juice container. Don’t clutter and confuse your labels by showing multiple versions of the same thing. 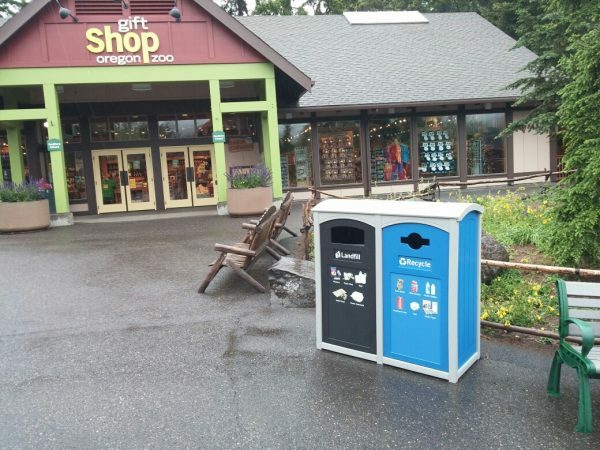 Make things even easier for everyone by incorporating images of waste that’s typical in your facility. 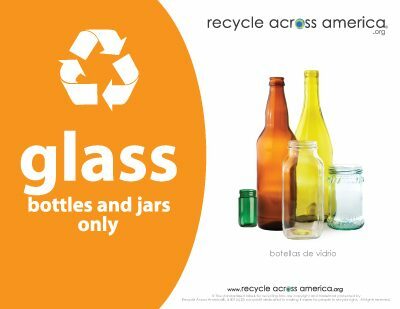 If you work with any vendors, use specific images of their products on your recycling labels to show people exactly what goes where. It’s a recycling best practice to keep consistent color-coding throughout your facility for each stream. However you may be surprised to learn that there aren’t any standard colors for recycling streams. The most popular choices are often black for waste, blue for recycling, green for compost, and grey for confidential or white paper. 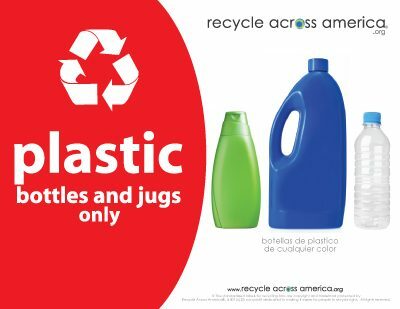 CleanRiver has recently partnered with Recycle Across America, a non-profit organization that is working towards standardizing recycling labels and stream colors in the United States. 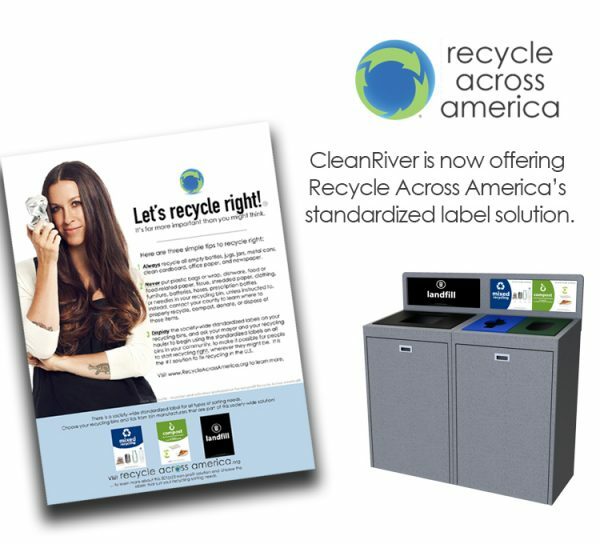 RAA recycling labels align with CleanRiver’s philosophy of consistency and clear messaging when it comes to recycling programs. 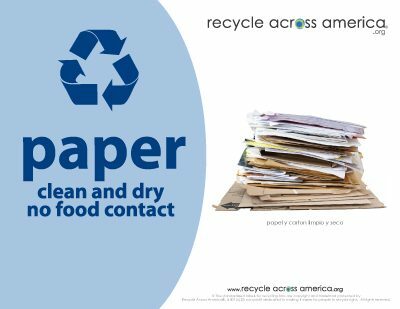 These are another simple and great option to use when working towards communication and consistency in your recycling program. RAA recycling labels are now available through CleanRiver. 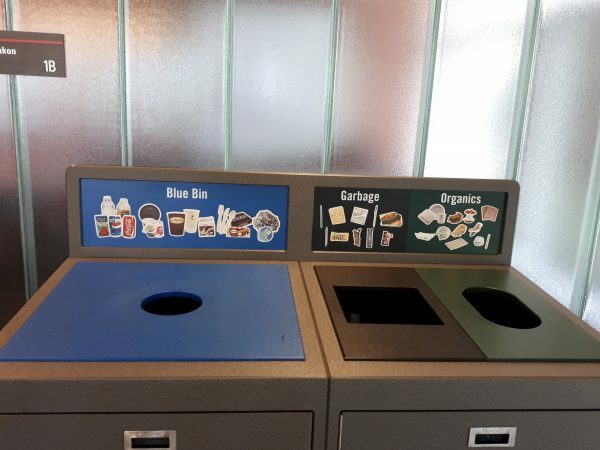 No matter what recycling stream colors you choose to use, make sure you use the same colors in your graphics to help reinforce the connection and help people make the right choice. And even more importantly, be sure that all the recycling labels throughout the entire facility are consistent in color, image and text. To show people how to recycle properly they must be able to see how! It may seem like a no-brainer, but make sure your recycling labels are where people can see them and at eye-level. 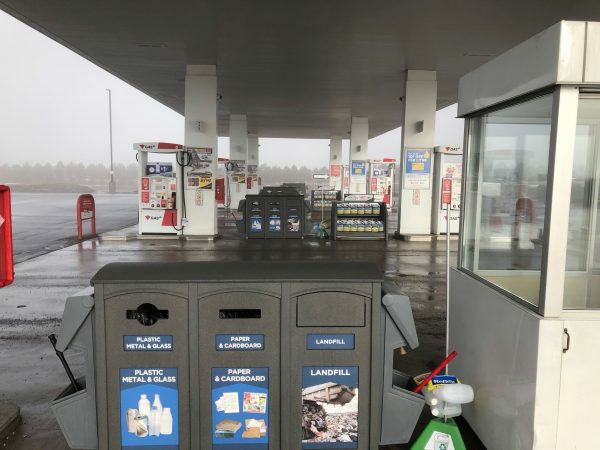 At CleanRiver, we recommend the use of our high impact backboards which are an option for all our recycling containers and increase the effectiveness of your recycling program. Recycling labels should be at the front of the container, so you can see it as you approach and next to or directly above the stream openings to avoid any confusion. 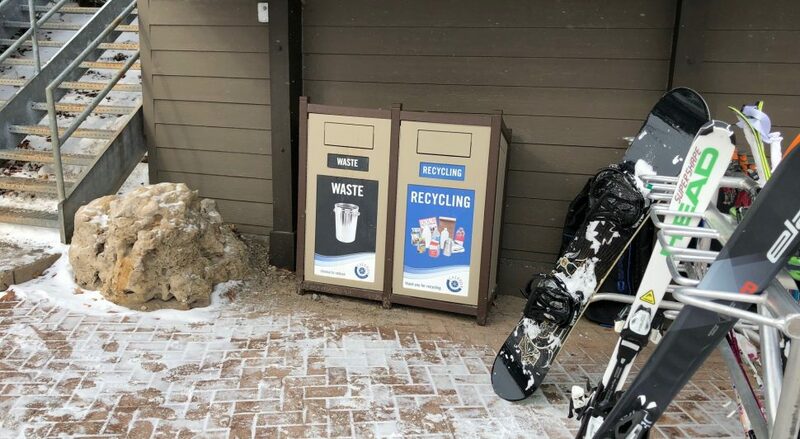 For more information on effective recycling labels, check out our blogs Recycling labels increase campus waste diversion rate by 164% and 8 Tips for Effective Recycling Posters.